Along with all the features of the basic series, this device also has very unique features like engine cut and egnition on/off status. With Global coverage of GSM frequency band of 850/900/ to 1800/1900, Letstrack plus series device makes sure that you are tracking your car and know much more than just locations, always! With compact design and the latest GPS tracking technology, it is the one all-purpose car tracker for everyone who wants to track their cars real time or get tracked by their loved ones. Additionally with this feature, this tracking device will immediately cut off your vehicle's engine whilst in motion if needed. Simply clicking on the engine cut button will disarm the battery power, leading to the immediate immobilization of the car. Do not have time to track your friends, family, employees as well as colleagues in real-time? Then check all the missed out on just a single screen and never worry about them again. With this feature, you get to see whether the engine is in a working mode or is off? The status of the engine is visible through the Letstrack tracking app. 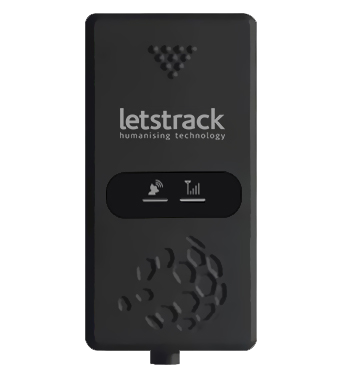 Track your friends, family, employees as well as colleagues with the real-time tracking of Letstrack tracking devices. This feature enables you to track in the present time with exact location instantly. Set your own speed limits and get alerts whenever it reaches maximum. You can benefit from this feature from the Letstrack tracking app. Get alerts instantly and track all your friends, family, employees as well as colleagues. See the average value of fuel consumption, a number of stops and much more by this feature in just one screen. Optimize your sales and live a life of peace. Letstrack tracking app enables you to create zones for tracking your friends, family, employees as well as colleagues. It alerts you every time the concerned person enters/exits the designated area. With the understanding of our customers’ worries, we at Letstrack also understand their needs, so we accordingly provide a one year warranty. We strongly recommend that these devices are professionally fitted by one of our own fully trained fitters to offer the best reliability. The use of this device is global. Irrespective of your location you can track all your employees or your loved ones wherever you may be! You can even track your employees, colleagues and all your loved ones. This device connects to a smartphone which in turn helps to track the location of the device. Track them irrespective of their position as well as your location. When we say easy to use, easy to keep, we mean it. With hardly any weight, Letstrack devices are easy to keep in a bag, pocket or fastened with belt. Keep an eye on all the history of your tracking devices. With the feature of storing 24 hours history, you can track those in just one go. I love being able to keep up with my family. I track them all the time with the tracking device being attached to the car and now I don’t have to worry when they are not at home. My mom loves this device for keeping the tracking history as she tracks my locations later if she misses out by any chance. 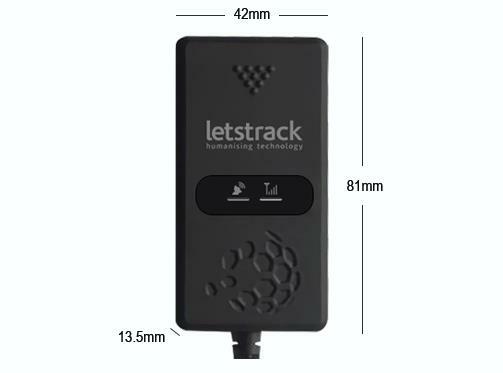 What is difference between LETSTRACK PLUS SERIES - GPS CAR TRACKER and LETSTRACK PRIMA - VEHICLE GPS MONITORING ?? ? Letstrack Plus device has following features: Overspeeding Alarm, 24 Hours Location History on App and 30 History on Web, Parking Notifications, Unlimited Sharing of Devices, Engine On/Off Status, Value Screen, Zone Alerts, Engine Cut Letstrack Prima device has following features: Overspeeding Alarm, Parking Notifications, Unlimited Sharing of Devices, 24 Hours Location History on App and 30 History on Web, Engine Cut, Air-Condition Info, Towed Alarm, Real Time Tracking, Geo-fence Alerts, SOS Alarm, Anti-theft Alarm, Engine On/Off Status, Value Screen, Alert me, unplug device.